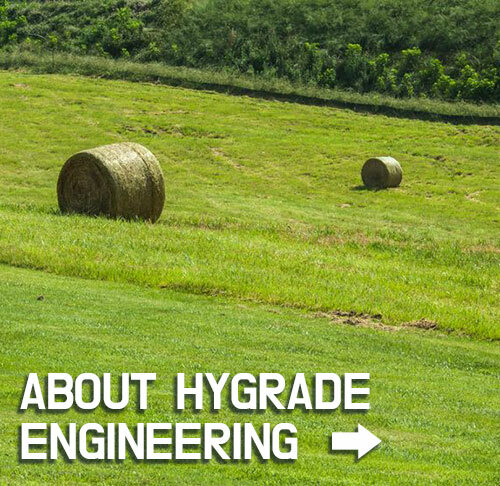 Hygrade Engineering produces a unique line of products for the haying industry to fit on most makes & models of mower conditioners and rakes. 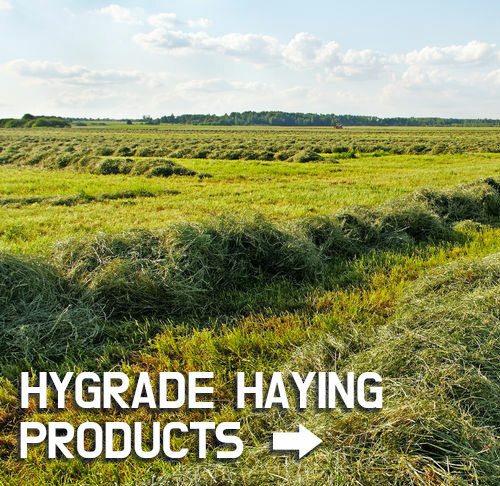 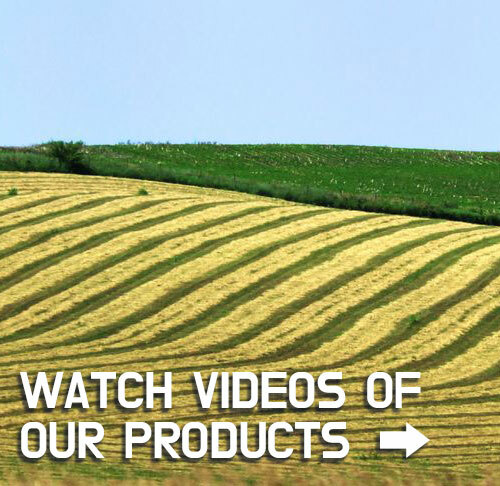 We have haying solutions and products for any type of forage or cut hay including grass, sudangrass, sorghum, cornstalks or alfalfa. 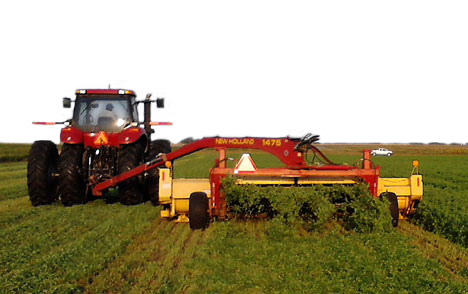 Cutting heavy forage can plug mower conditioner and requires operator to shut down PTO and remove plugs by hand. 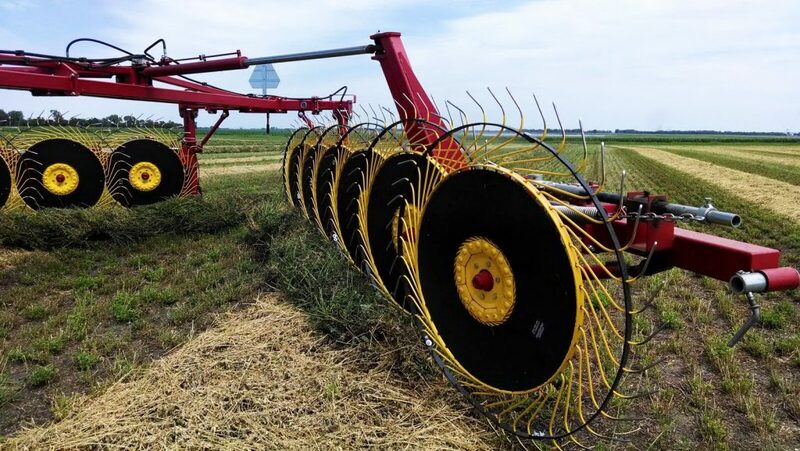 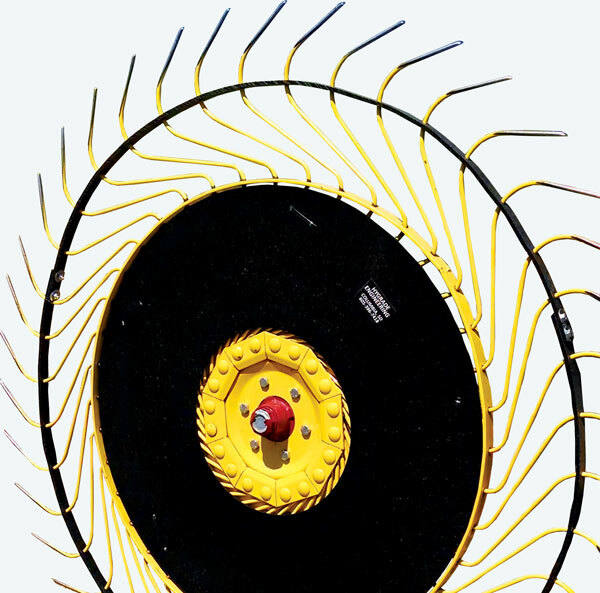 Forage wraps around rake wheel when operating in windy conditions. 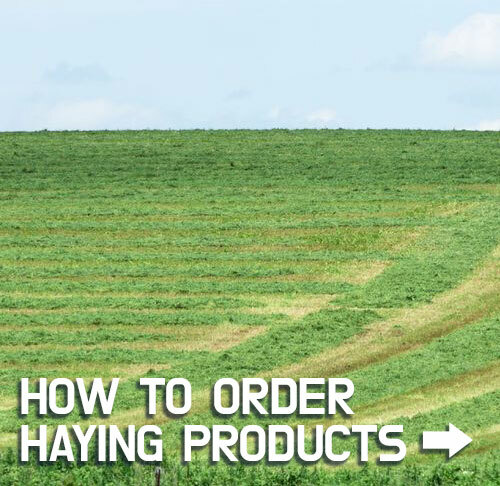 Narrow windrows do not dry evenly and take a long time to dry which reduces forage quality and increases your weather risk. 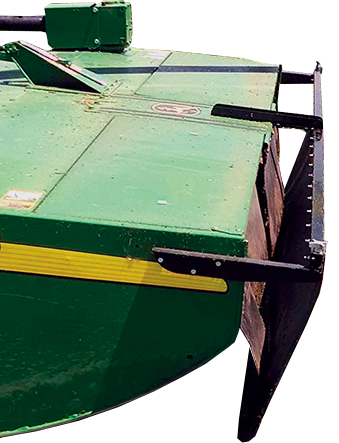 Wheel rake skips over forage and rake teeth break. 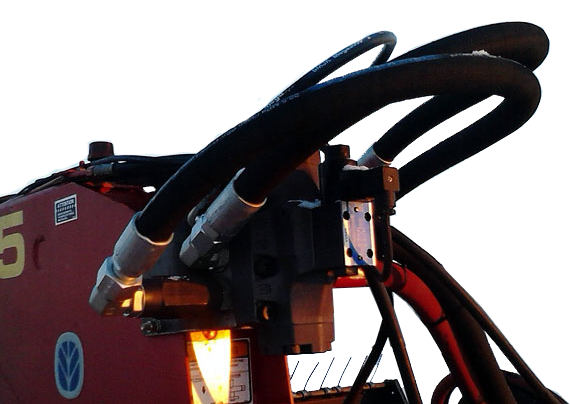 Tractor windows break from flying rocks off the cutter bar.